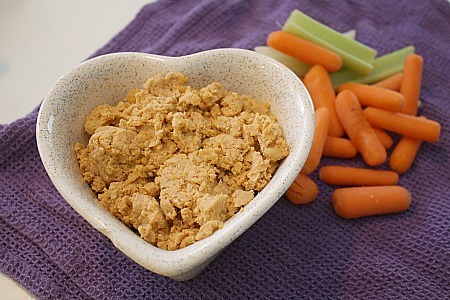 Buffalo Wing Hummus and a Giveaway! It’s Football Sunday! In many households across the country, people gather with family/friends infront of the TV to watch their favorite NFL teams play. And it wouldn’t be complete without lots of good eats. “Football foods” are a favorite among many, and there are lots of different things to choose from – even healthy options! My friend Nicole recently had an amazing cookbook published. She is a Registered Dietician who has created many recipes based on different dietary needs. There are lots of delicious ones to choose from, not only on her blog, but in this cookbook. Like this buffalo wing hummus. Talk about eating guilt free without sacrificing taste. Not many football foods fall under that category. I made this for a party and everyone gobbled it up…it was a huge hit! Have you seen her book on the shelves yet? Or online? Take a look at how pretty this cover is. Can you believe those donuts are actually healthy?? Yum. I made a few more recipes as well and I’ll be sharing them here in the coming weeks. 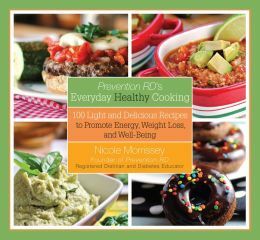 Meanwhile, in honor of Nicole’s huge achievement, I’m giving away a copy of this awesome cookbook! So how can you win it? It’s easy! Put all ingredients in a food processor. Puree until desired consistency is reached (I like my hummus more on the thick side, but keep going if you want it more creamy!). This entry was posted in appetizers, dip, giveaway, make ahead, QuickAndEasy. Bookmark the permalink. 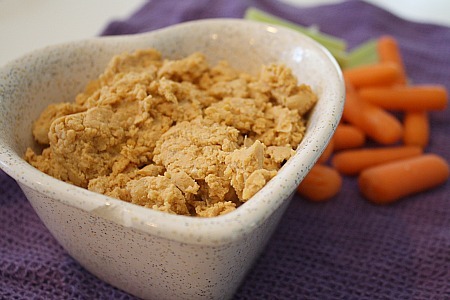 34 Responses to Buffalo Wing Hummus and a Giveaway! I would love to try her carne asada marinade with chipotle lime….sounds really good! I would like to try the Lemon Pepper Shrimp Scampi. Just added the recipe for Scalloped Tomatoes on the weekly menu – it looks delicious! I’ve made a few delicious dinners from Nicole’s blog. I am looking forward to trying her pepper and corn taquitos for a football game. The Meyer lemon blueberry baked oatmeal looks amazing. I live everything lemon and can’t wit to try this! I will try the quinoa pizza bite and crispy tilapia fish tacos! Both sound delish!! I just realized I love salmon after years of hating it – so I would love to add her blacked salmon recipe to my must-try list! I’d like to try her avocado tuna salad, I’ve had a pinned for while and think it will be a great lunch to take to school. I love this recipe of hers! I’ve made it several times now and people LOVE it! I want to try the teriyaki tofu kebabs! I’ve been looking for dairy-free dishes and it looks like Nicole has TONS! I can’t wait to try the tofu noodles with peanut-lime vinaigrette! I think I’d first like to try the cream cheese crock pot chicken! I want to try her pumpkin pie fudge! I love her crockpot sesame chicken. It’s in my meal rotation! I plan to try the zucchini, carrot and apple bread w nuts and chocolate chips. Mmm! I love this recipe! I also want to try her creamy corn and pepper taquitos! Yum! The peanches and cream popsicles look great! I’ve made a few of Nicole’s recipes to rave reviews, but I have my eye on the Lemon Pepper Shrimp Scampi! I really want to try her Slow Cooker Cuban Pork Tacos with Jimaca Slaw. Because, yum. Oh my goodness, I go to her page and the first thing I see are the Banana Bread Pancakes and I am in love. Those will be made soon! Hard to decide….scalloped tomatoes or taquitos! Buffalo chicken tacos?! Yum! Those sound great. The chicken kebabs with creamy pesto. Umm…YUM! Eggplant is my favorite vegetable so…eggplant parmesan please! My husband would love the buffalo chicken salad! I love all her recipes! But the Buffalo Chicken Enchiladas sound great after reading about you making the Buffalo Hummus! Oooooh! The Blueberry Coconut Bread looks so delicious…I can’t wait to bake some. I love all the different vegan recipes. My mom is a vegan and it’s so hard to cook or make things for her. I am going to see if I can make a complete dinner for her with all of Nicole’s recipes especially the sweets.